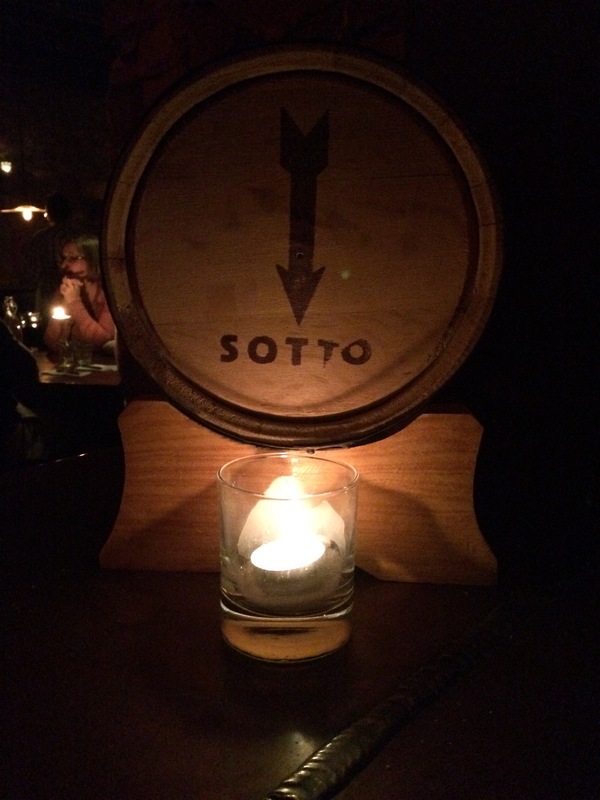 Sotto – Go There. Try That. My husband took me to Sotto to celebrate a special occasion. 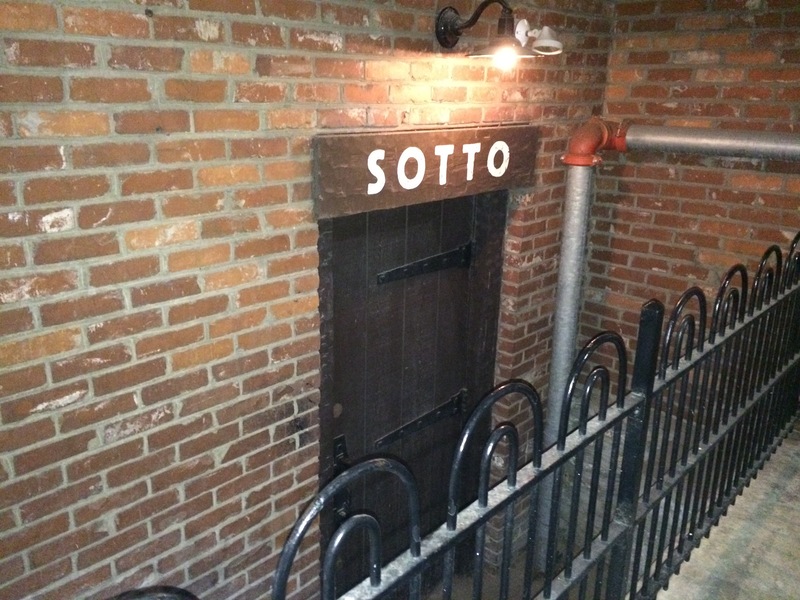 I had heard a few good rumblings about Sotto, but honestly, not anything too specific. I knew it was old world Italian and located downtown. The rest was a surprise. 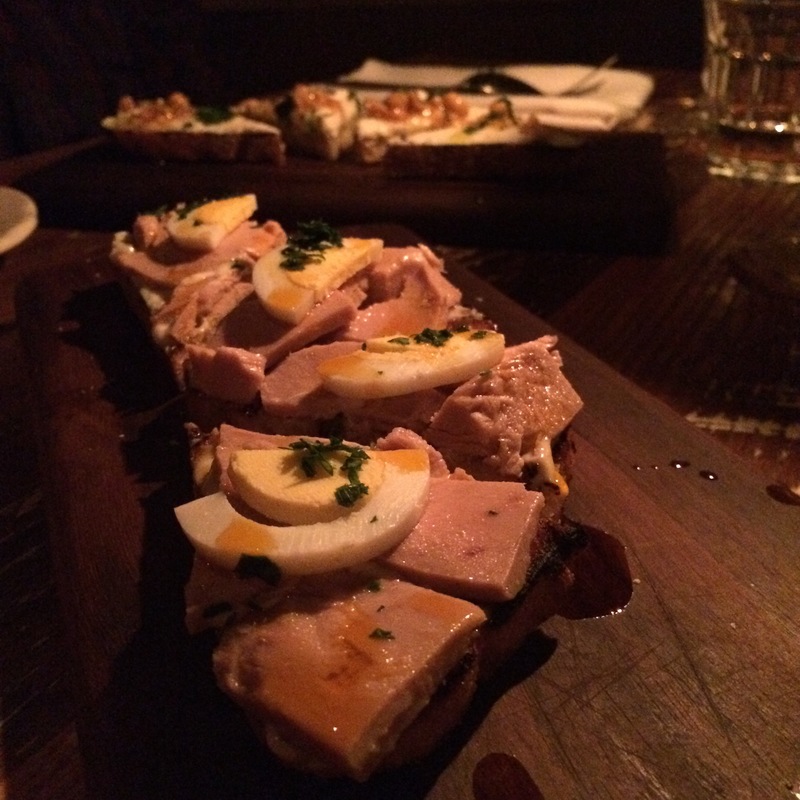 What surprised me most about Sotto is that it’s underground (beneath Bocca to be exact). This creates the perfect special occasion atmosphere. It’s dimly lit, rustic, and romantic. Once we descended the stairs into Sotto, it truly did feel otherworldly. There are no windows, tables are lit with candles, there are brick walls and low ceilings; it’s rich, charming, and cavernous. The waiter, Patrick, was incredibly attentive and knowledgeable about the origins of the food. I felt like we were taking a food journey. We talked regions in Italy, where grapes for the wine were grown, where the inspiration for many dishes on the menu stemmed from, and so on. He never made us feel rushed and every moment at Sotto felt like an experience. While my husband tried a glass of wine, a Taburno Falanghina, Patrick had the bartender make me an incredible mocktail. 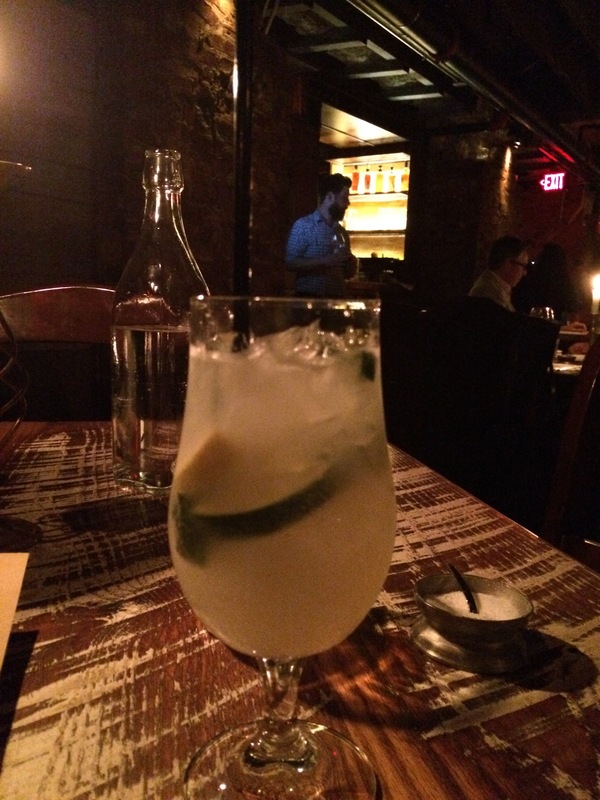 It was a virgin version of a Amalfi: a house-made Limoncello, Ginger Beer, Muddled Lemon, Lime, and Mint. Loved this drink. Tart. Fresh. Tingly. A touch of sweet. For our meal, we started with the Oil Packed Tuna, caught off the shores of Sicily and canned immediately as to preserve its freshness. This is served on bruschetta with hard egg, chili oil, and caper aioli. Melt in your mouth good. We savored every single bite of this dish. Because Sotto is underground and because I’m only using my phone to take pics at this point, please know the pictures do not do the food justice. 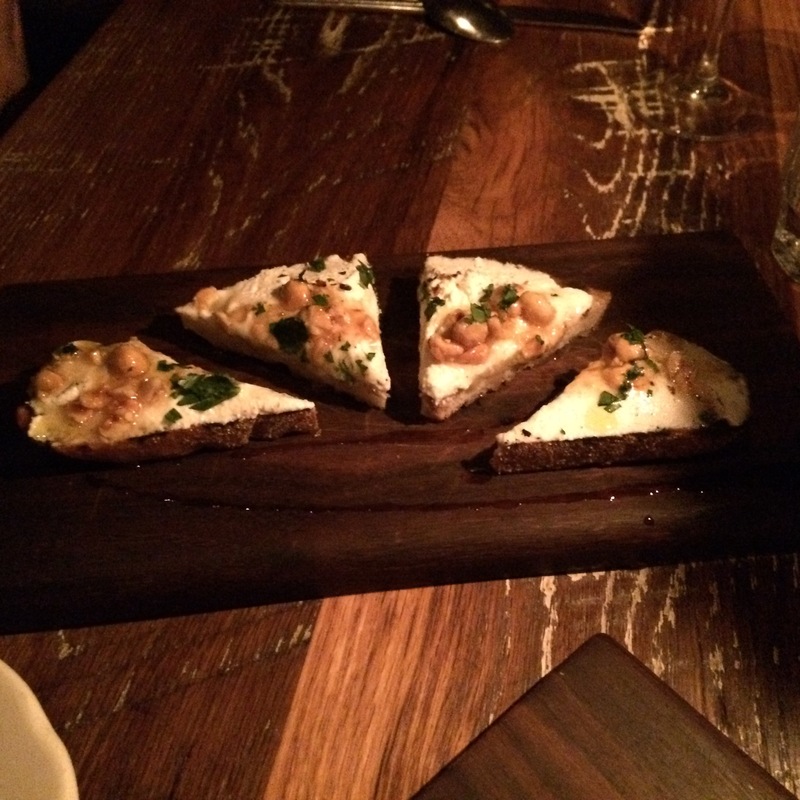 We also ordered the Goat Cheese and Hazelnut Honey served on what I believe was Blue Oven Tortano Bread. This is a nice mixture of sweet, creamy, crunchy, and rich. We enjoyed both, but out of the two, we fought over the last bites of the tuna! For our main course, we went pasta. They do have chicken, pork, and steak, and were tempted, but we knew going in we wanted pasta. Disclaimer: the portions are not large, but they are good! This is also why the waiter suggested ordering two dishes off the Bruschetta and/or Antipastas menu and two dishes of the Primi and/or Secondi menu. 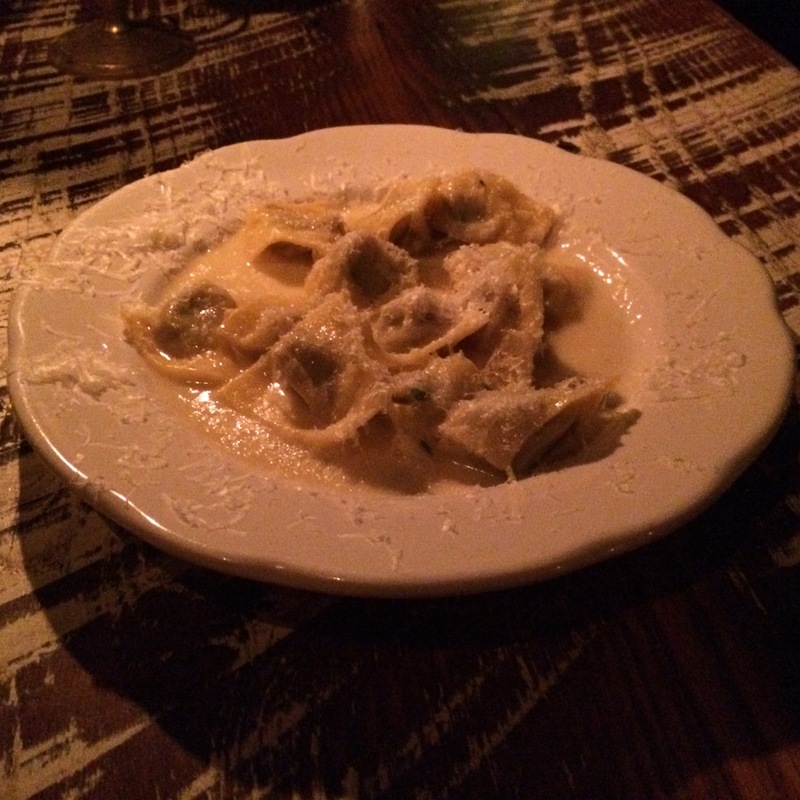 We went with the Short Rib Cappellacci, made with amish butter, shallots and thyme. 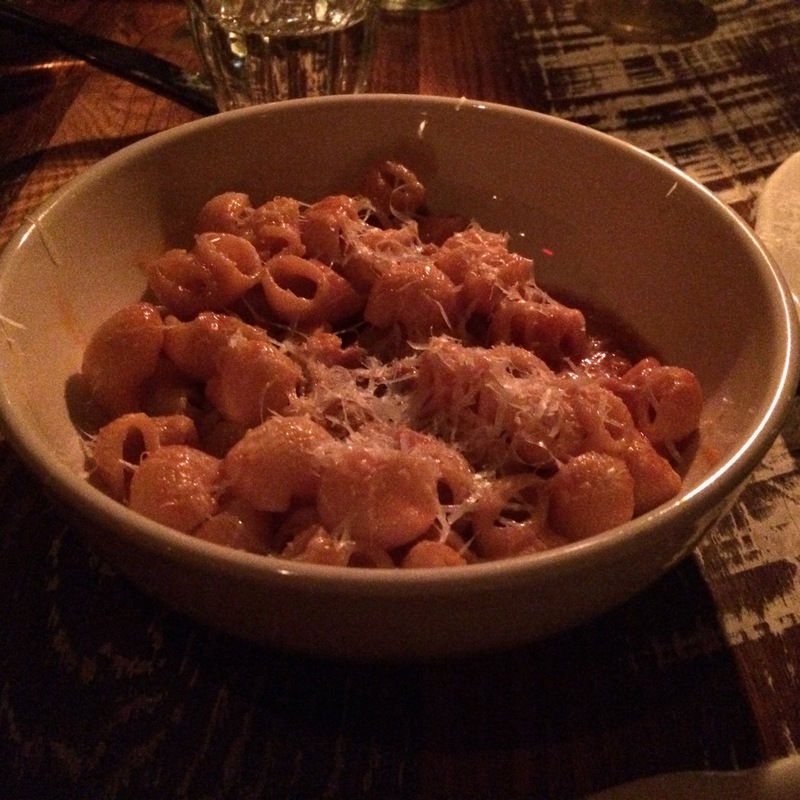 We also ordered the Lumache all’amatrician, made with tomato, guanciale (pork cheek), and pecorino (cheese). We ended up sharing each dish equally- just the way I like it. The butter sauce with the Short Rib Cappellaci is so well-balanced and rich and the tenderness of the pork with the red sauce in the Lumache all’amatriciana is perfect. I also really like the actual pasta with the Lumache because the sauce, cheese, and pork gets tucked inside the noodle so you get a little of everything in each bite. If you feel like being more adventurous, which I sometimes do, Sotto also offers dishes such as grilled octopus, chicken liver mouse, and beef heart. Next time, I am trying that octopus because it honestly sounded really intriguing and I just keep thinking about it. 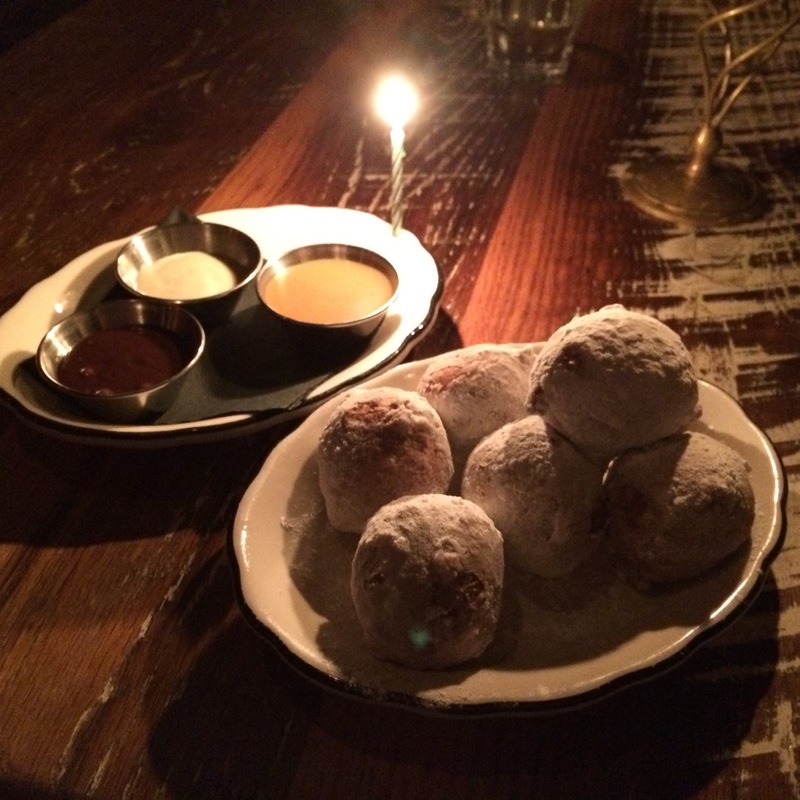 To top it off, we finished with the Ricotta Doughnuts. Words cannot express how amazing these doughnuts are. I do not even feel comfortable calling them doughnuts. These are served hot with three dipping sauces: salted caramel, pistachio, and chocolate. Not one single morsel was left. I might have licked the plate. And because it was my birthday, they brought me a candle. Precious. Listen, I always say it’s the little things that make moments special. 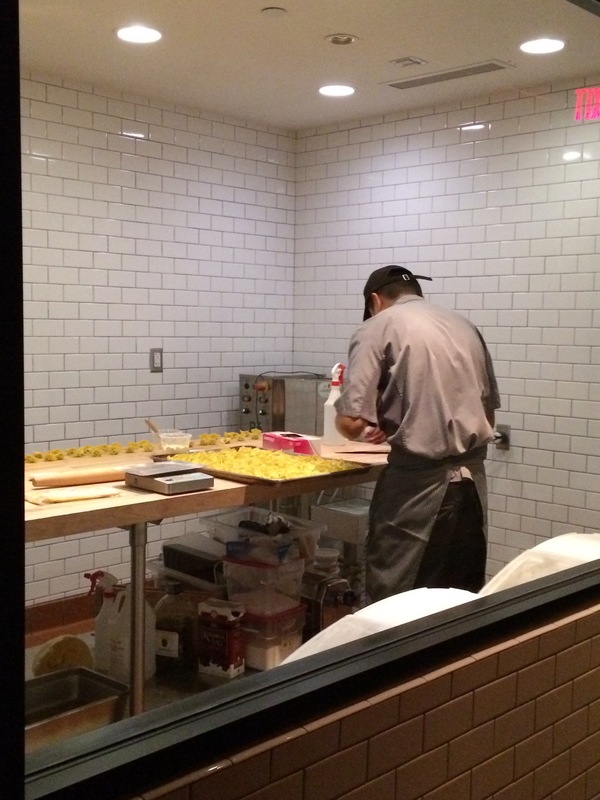 The restrooms have real towels, the service is incredible, and there is a window where you can watch the pasta being made in-house. The nice thing about downtown Cincinnati, is there is always a parking garage close by. We didn’t have to walk far and the evening was perfect for a downtown stroll. My husband must have picked well because when this old married couple (we’ve been married almost 13 years now) got in the parking garage elevator, another couple asked us if we were on our first date. What? I’m going to take that as a compliment! 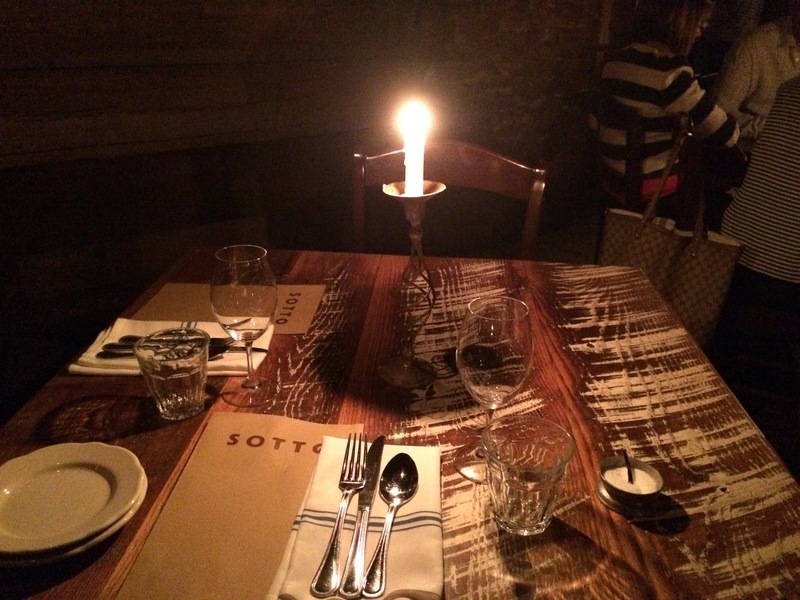 Sotto is a wonderfully romantic dinner experience. Tip: You MUST make a reservation! Sotto books fast. GO THERE (Sotto)! TRY THAT (Oil Pakced Tuna, Lumache all’amatriciana, Ricotta Doughnuts)! Those doughnuts! Holy mother! Everything looks delicious! I must go there.